NEW extension for April 2019 – dining area with patio doors leading into the garden, kitchen, new utility area with the addition of a toilet and washbasin. More room for relaxing with your loved one in our spacious holiday cottage in St Davids. 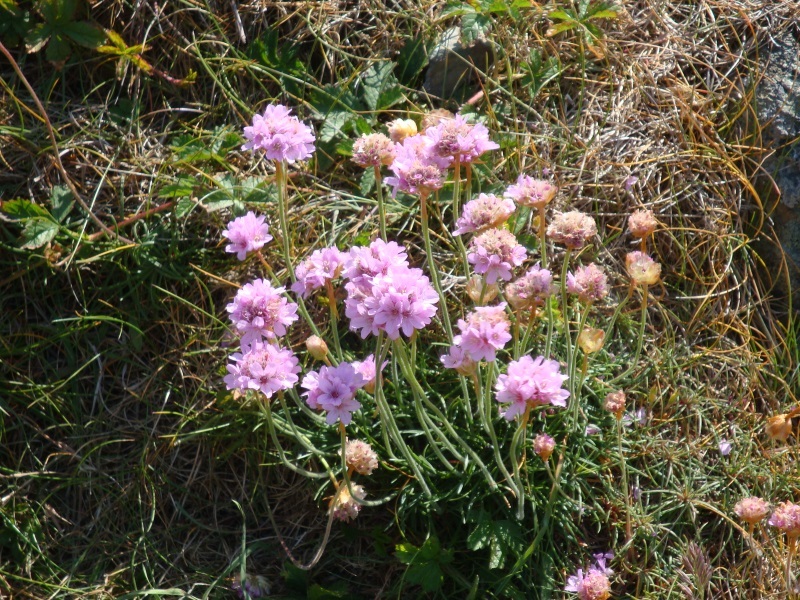 Y Nyth, our spacious holiday cottage in St Davids, allows easy access to Britain’s smallest city, its surrounding countryside and stunning coastal areas. This comfortable and tastefully decorated holiday cottage in St Davids is set over one level, allowing for space and a light, airy ambience. “Y Nyth” (translated as “The Nest”) is set in a quiet location within easy walking distance of restaurants, shops, art galleries and the coastal buses. This perfectly located holiday cottage in St Davids has all the modern comforts, including beautiful Melin Tregwynt linens, a fully furnished kitchen and access to WiFi. 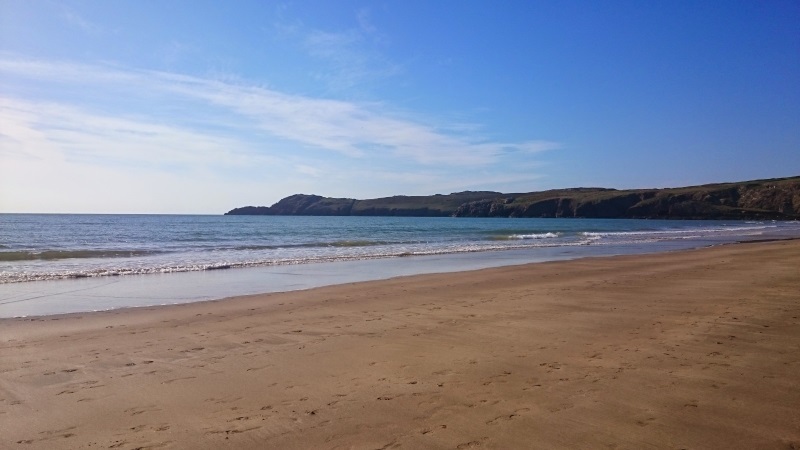 The coast is calling – the gorgeous stretch of sand at Whitesands Bay, the local beach, is only 1 mile away. 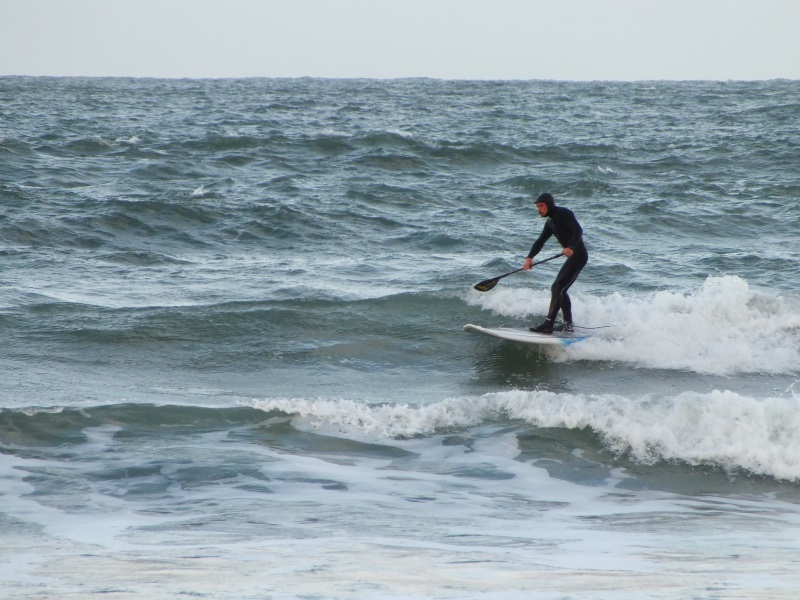 It’s a perfect spot for swimming and watersports – why not give surfing a try? 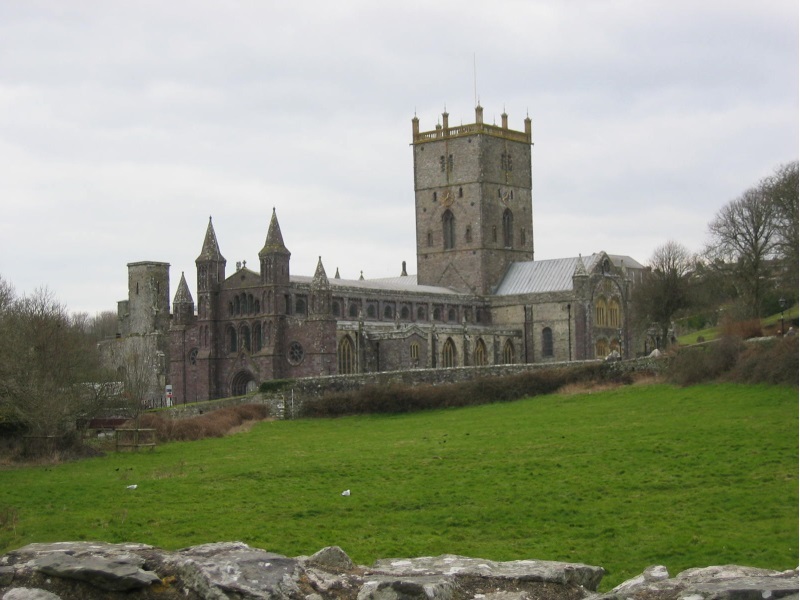 Closer to your holiday home in St Davids is the magnificent St Davids Cathedral and the ruins of nearby Bishops Palace. Visit these majestic buildings to see why this mini metropolis was afforded city status. After an exhilarating day exploring St Davids and the Pembrokeshire Coastal Path come back to your quiet haven in the centre of the city and enjoy relaxing in the garden. Watch the local coastal wildlife while relaxing with a glass of wine and planning tomorrow’s exciting itinerary. Or take a stroll down the road and have dinner in many of the lovely local eateries. Treginnis Cottages allow you the added benefit of free parking at Treginnis Uchaf. This is the site of our second holiday home, Ty Mortimer, and is only 2 miles away to the West. 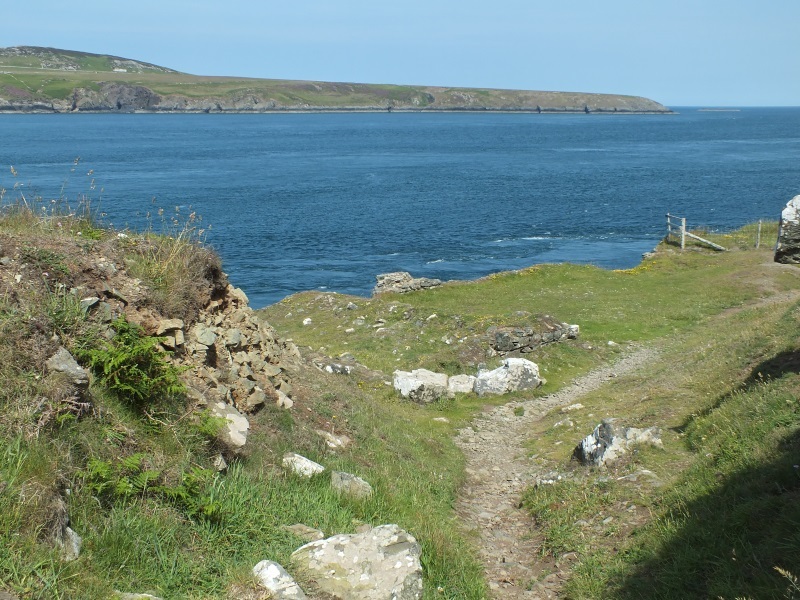 This coastal location allows access to the stunning Porthllisky Beach and along an ancient, rugged area of the Pembrokeshire coastal path. From here you get a unique view of the famous Ramsey Island across the sound. Go rock climbing along the oldest volcanic rock formations in Britain, or pack a picnic and watch the sun set…and maybe catch a glimpse of some playful porpoise! Bathroom – Bath, Shower over Bath, Toilet. Separate Shower. Towels and Bed linen – Provided. Please bring your own beach towels. Arrive on Friday by 3.00pm. Depart on Friday by 10.00am. Short break availability for October to April, when possible, from £210 for 2 nights, 3 nights £240 – SB. Phone us now on 07791 903221 or 01437 720234 before you book, to check availability. in the evenings, one can view stars in the dark skies with no light pollution.